Below are recommended websites and products that increase website visitors and helps you to build a list. Some are free to join, with optional subscriptions, some are products and tools to greatly increase your traffic. Enjoy! MLMGateway is another social media website that allows you to connect with other members, and is geared for the network marketer. You have the ability to run free advertising in exchange for activity on the website, and it even offers subscriptions that are highly recommended yet optional. Social Monkee is a backlinking tool that will post links to your content/blog/website to up to 4 URLs a day and submits them to 175 high authority websites. Automation for ranking in search engines that simply can't be done on your own. Highly Recommended and personally used. Traffic exchange website that gives lots of prizes and bonuses away. Has large member base, and offers affiliate commissions. If you want to add an extra push to your visitors, then using traffic swirl will surely help increase them. Safelist that allows you to mail each day to the members of the platform. If you have a lot of credits built up with the website, you can reach several people with messages. Safelists are not the most effective form of getting leads from traffic, but are none the less used a lot. This is a safelist, solo ads, and traffic exchange all in one. Free memberships and upgrades are optional. Like any safelist, they can be used to get leads and build a list. However, you will need to learn as much as you can about effective email marketing to see really impressive results with safelists. Followlike is a optional free or paid membership social sharing platform that offers the most types of social signals today. Use Followlike to increase your signals, create organic traffic, and help SEO efforts. Linkcollider has a very large user base and offers the most common social signals. Used for getting your offers and links posted onto other people's social media and blogging platforms. Linkcollider offers both paid and free memberships. The last of the optional free and paid membership social sharing platforms, IBOExchange offers the most popular social platforms to increase your signals. Combining all 3 social sharing platforms along with paid memberships will increase your traffic flow and leads with very little effort. Offering a one time fee of just $7, Leased Ad Space can give you a lifetime of solo ads, traffic, banner and text ads. Leased Ad Space is a buyers only program, so payment is required to use the platform. There are several levels of Leased Ad Space, each offering more value than the last. All levels are a one time fee to upgrade. 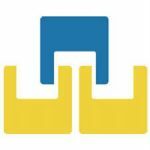 Perhaps the most powerful solo ad provider online today, Udimi offers several solo ad providers with ratings so you can pick the best provider for you. Each solo ad package you buy will mostly be tier 1 traffic, if you want. 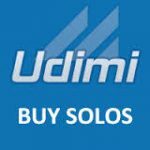 Udimi is the most trusted solo ad vendor online today, and worth using to find the perfect solo ad vendor for your business.